It’s been a little more than a year now since new regulations on religious affairs went into effect in China in February 2018. Although Chinese people of faith have long faced persecution, last year still marked a notable turning point, as repression increased dramatically. Under the concept of “Sinicization,” the Chinese Communist Party is attempting to shape religious practice to conform to its own values and priorities. Concerns about that infringement on religious freedom prompted a panel discussion, “Evaluating Threats to Religious Freedom in China,” held Feb. 5 at The Heritage Foundation. Walter Lohman, director of Heritage’s Asian Studies Center, hosted guests Bob “Xiqiu” Fu, Dr. Sen-Hong Yang, Nury Turkel, and Matteo Mecacci, representing Christian, Taiwanese, Uighur, and Tibetan interests, respectively. 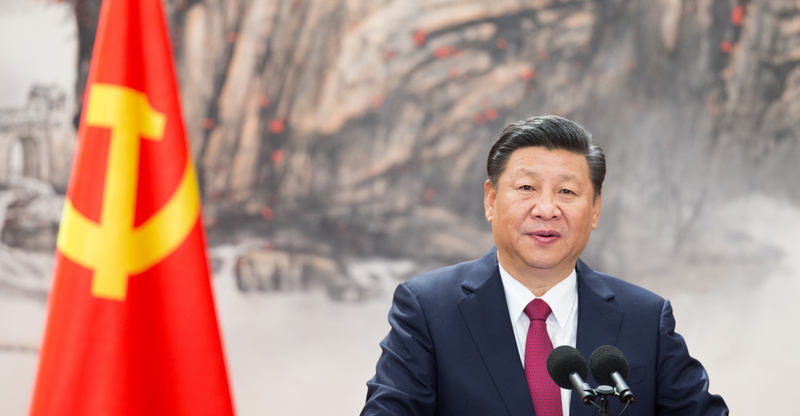 Fu, the president and founder of ChinaAid, emphasized the unity among people of different faiths who experience religious persecution by the Chinese government. He also detailed many instances of persecution by the Chinese Communist Party against Christians, citing the Early Rain Covenant Church, which was shut down. He also cited the so-called “Five Forbidden” policy, which prohibits five kinds of people—children under 18 years old, students, Communist Party members, military personnel, and public officials—from participating in religious practices. The president of the Taiwan Association for China Human Rights, Sen-Hong Yang, noted that Taiwan has strong provisions in place to protect religious freedom, unlike the People’s Republic of China. Yang was accompanied by Lee Ming-che, the wife of Lee Ching-yu, who was imprisoned in China after he advocated for Chinese human rights. Turkel, chairman of the Uyghur Human Rights Project, discussed the Chinese Communist Party’s crackdown on Uighur Muslims. He explained how the Chinese government is trying to systematically erase Uighur identity through its system of surveillance and political re-education facilities in Xinjiang, where between 800,000 and 1.1 million predominantly Uighur Muslims are imprisoned. He also warned of the national security threat posed by the Chinese government’s exporting of surveillance technology to other countries. Mecacci, the president of the International Campaign for Tibet, said Beijing seeks to keep tabs on people’s whereabouts, not unlike the surveillance techniques being used against the Uighurs in Xinjiang. Mecacci was also critical of China’s plan to designate the next Dalai Lama, which is a role usually determined by Tibetan Buddhists. When asked what can be done, panelists agreed on the importance of the international community taking action. Turkel said, “Public naming and shaming is one of the most important tools,” because China is protective of its image on the world stage. Mecacci noted that there are approaches to the problem in addition to sanctions, including demanding reciprocal access to travel and to disseminate information in restricted areas of China. Yang said that Taiwan could help Chinese people through radio broadcasts from Taiwan. Fu pointed out that the international community should do more to support people suffering from religious persecution. The Heritage Foundation has long called on the U.S. government to sanction violators of religious freedom in China under the Global Magnitsky Act, which enables the Treasury Department to target individual or entities on human right grounds. Those directly responsible for undermining one of the most fundamental human freedoms should face consequences for their actions. The conference highlighted the severity of China’s violations to religious freedom—irrespective of the particular religion. The post Repression of Religion in China Is Getting Worse. Here’s What Can Be Done. appeared first on The Daily Signal.